When it comes to pie recipes, this classic coconut cream pie recipe takes 1st place. A refrigerated pie crust makes it easy, and the whipped cream and toasted coconut make it simply irresistible. 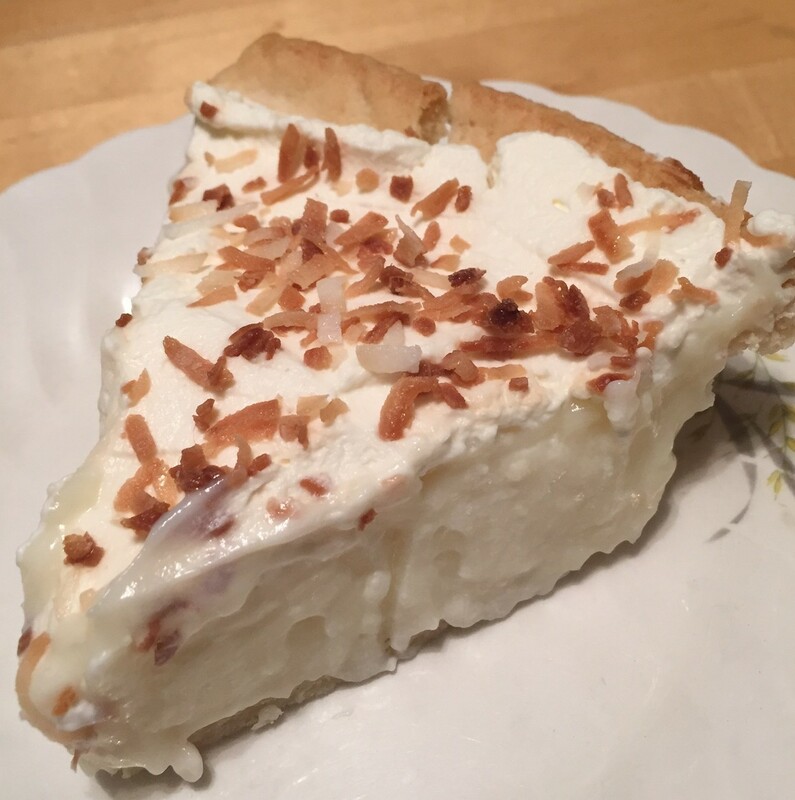 Coconut cream pie for dessert on Easter Sunday has been a long-standing tradition. I want to share my recipe with you. I rarely take the time to make a homemade crust because it’s always hit and miss for me. Maybe one of these days I’ll find the perfect recipe and give it a try …but for now two frozen ready to bake deep dish pie crusts make it so much easier and less time consuming. To a large heavy bottom pot add all the ingredients except the milk and whipping cream, stir to combine. Slowly add in the milk one cup at a time stirring after each cup. Place the pot on the burner and bring to a slow boil. The mixture will start to thicken and you’ll know it’s ready when it easily coats the back of your spoon. Now you are ready to fill your baked and cooled pie crusts. Once the crusts are filled, let the coconut cream mixture set for about an hour before adding the whipped cream. Don’t worry if the crust cracked a little when you baked it. You won’t notice that once it is finished and it certainly doesn’t affect the taste. Once the pies are cooled and set it is time to make the whipped cream. Put the 500ml of whipping cream in the bowl of an electric mixture (I used my Kitchen Aid mixer with the whisk attachment) turn it on high for about 3 minutes (you can add a teaspoon or two of sugar to the cream if you want it a little sweet). It’s ready when you lift the attachment and lovely soft peaks form in the bowl. Toasting the coconut will bring out a richer, nuttier flavor. Simply add 3/4 cup of coconut to a frying pan over medium to high heat, keep moving the pan or keep stirring the coconut until turns a rich dark brown. Let this cool before adding it on top of the whipped cream. Homemade coconut cream pie is A Wandaful Thing. 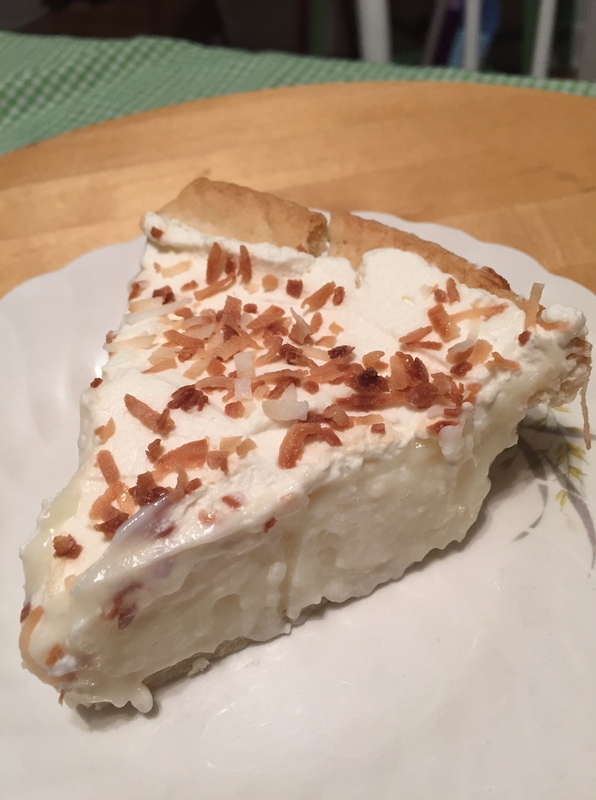 This entry was posted in Bake and tagged coconut, coconut cream pie, cream, delicious, DIY, easy, Food, homemade, pie, simple. Bookmark the permalink. Taste tested and the verdict is Delicious…..